Poker professionals have a way of winning and losing huge amounts, but the fact that they have a sizable bankroll and a wealth of experience, keeps them relaxed and optimistic. Viktor Blom is one of the online poker players who won and lost millions of dollars last year and in 2014 he has another streaky run. Even though the losses and winnings are not that ample as they were one year ago, it is still pretty much a roller coaster and the good news is that this month Viktor is on an uptrend. Regardless of how he fares in the previous week, the Swedish poker Pro always plays at nosebleed limits and this is exactly what happened over the weekend. He sat down at $2k/$4k 2-7 Triple Draw tables, fully aware of the fact that this is where some of the best and most inform poker players are usually playing. Viktor is never intimidated by the name of his opponents and the fact that he competed against the likes of PostflopAction, CrazyElior, trex313 and Niki Jedlicka made no difference. When action cooled off and there was no more money to be won, he simply moved to another table, where the formidable German player using the nickname “ragen70” was waiting. Despite what pundits were expecting, it was once again the Swedish professional that emerged victorious and he stripped his opponent of $30,000. This represents nothing more than a drop in an ocean for Heinecker who is still the most successful player of 2014 and he won the most money last year as well. The money won over the course of a single week is impressive, as Viktor can brag about winning a total of $400,000, but there is more than meets the eye about this victory. What the Swedish needs right now is consistency and in order to put together convincing results, he must win several sessions in a row. Things are clearly heading into the right direction, but in the highly competitive world of nosebleed limits, anything can change. A new week will definitely bring new things and all the money won a few days ago can be lost and some more, when you compete against such tough opponents. 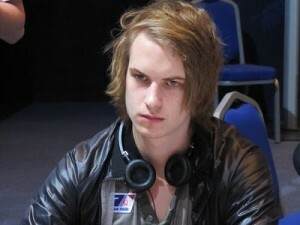 Except for Gus Hansen whose losing streak seems to have no end, other poker pros enjoy ups and downs, but eventually most of them rebound and recuperate most if not all their losses.